In newly obtained emails regarding Diversity Chair Grayson Lanza, Knight News has found some possible discrepancies regarding Student Government Association President Nick Larkins’ public post about the situation. It is unclear when Larkins first became aware of his diversity chair’s controversial remarks, but the emails show that it was not recently, in fact it was a month ago. in newly obtained emails, Knight News can confirm that Larkins had received complaints about Lanza as early as June 27, from concerned conservative student, Daniel Hanna. 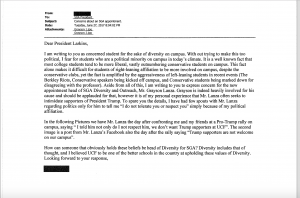 This email, along with the screen shot Lanza saying Trump supporter were “not welcome” on campus, was sent to Larkins five days after Lanza’s conformation by the senate on June 22. During that hearing, the senate confirmed him 19 votes for to six votes against. When asked why he thought Larkins did not respond to his email from June 27, Hanna simply replied, “(he) just didn’t care enough.” Hanna went on to explain that he believes Lanza only resigned because the pressure became too much, and that Larkins “probably” knew about Lanza’s issues; prior to the media attention. “He started feeling the heat, no doubt in my mind if the pressure didn’t increase that Lanza would still be in office,” Hanna said. Knight News reached out to Larkins for comment, but has not immediately heard back. 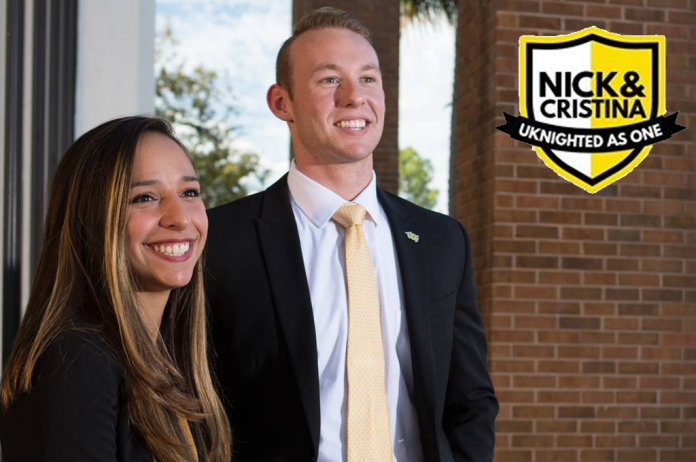 Along with this revelation, Knight News can confirm that Larkins and UCF received multiple emails regarding Lanza after the story went viral last week, and we are currently looking into them all. We will release new information this weekend.